At PM Real Estate, it is our goal to protect, preserve and enhance the value of your investment. It is our mission to make your life simpler and save you time and money. We give our owners the ultimate property management experience by providing pleasant, professional and honest service. We will work hard to maintain our commitment and strive to exceed your expectation every step of the way. As a property management company, it is our job to create the best possible relationship between owner, tenant and management. 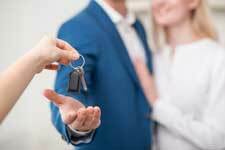 With smart, effective marketing and tenant screening, we ensure that your rental appeals to the kind of tenants you want, and that you rent to those who will take care of your property. Our exceptional customer service keeps your tenants satisfied and provides the support they need to feel at home year after year. We can assist you with the management of your rental property throughout the Triad- Greensboro, Winston-Salem, High-Point, and surrounding areas. We also proudly serve investors of the coastal region from Wilmington, NC to Charleston, SC. Please contact our team to learn more about our services, and what we can do for you. 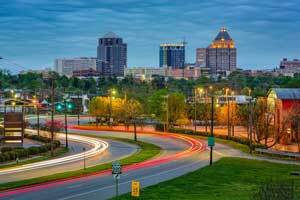 Greensboro is a city in the U.S. state of North Carolina. It is the third-largest city by population in North Carolina and the county seat and largest city in Guilford County and the surrounding Piedmont Triad metropolitan region. As of the 2010 census, the city population was 269,666, and in 2015 the estimated population was 285,342. Three major interstate highways (Interstate 85, Interstate 40 and Interstate 73) in the Piedmont region of central North Carolina were built to intersect at this city.